Five Flavours Film Festival - Become the Sponsor of Five Flavours Asian Film Festival! Become the Sponsor of Five Flavours Asian Film Festival! Below we present the offer for cooperation with Five Flavours Asian Film Festival – the only annual survey of cinema from South and Southeast Asia in Poland.The offer is open both to companies and individual culture patrons. We propose different models of cooperation – depending on the level of support, we offer a various range of benefits. The details of the proposal are negotiated individually. We are open to both short-term (one edition), and long-term cooperation plans. We are ready to use our creativity to prepare various personalized, original promotional activities, fit to the needs of our Sponsors. Polish premieres of the newest, most exciting titles from Asia, combined with all-time classics. A group of loyal fans growing every year. Nominated for the 2013 Polish Film Institute Awards for "Best International Film Event." Audiences appreciate our strong, diverse film selection, good organization, and a positive, creative vibe. Selected partners: Warsaw City Council, Polish Ministry of Culture and National Heritage, The Embassy of Japan in Poland, Asian Film Awards Academy. Organized by Arteria Art Foundation, a non-profit NGO. Active culture participants: young and mid-aged (18-45), film and music festival enthusiasts, opinion-formers, people that are open, interested in the world, fascinated by Asian cultures and new trends in art. Warsaw audiences: people actively participating in the cultural life of the capital (living in and around the city). Due to the international character of Five Flavours, a large portion of our viewers are foreigners. Opinion leaders: an influential group looking from fresh, original offer, also in the realm of art and entertainment. They are the trendsetters – others follow their choices. Mature and sophisticated audiences appreciating experimental and modern art. Logo on the online tickets sold through the Festival website. Logo on all Five Flavours promotional materials: fliers, posters, invitations for the opening and closing galas. Logo on all Radio Asia promotional materials: fliers, posters, invitations. Sponsor's promotional video screened before festival films. Branding in the cinemas and other festival locations (roll-ups, banners). Sponsor's info and/or service point, tastings, samplings. Invitations for film events and concerts. Communicating Sponsor's involvement in media reports, newsletters, and at www.piecsmakow.pl. Special campaigns – discussed individually. Sponsor's logo shown before festival films. Branding at the concert sites (roll-ups, banners). We treat all our Sponsors individually – the details of every cooperation are established during the negotiations. The 13th edition of the Festival: film screenings in Muranów and Kinoteka cinemas, November 13-20. About 70 screenings and additional special events. Wide target group: the program includes night film marathons, independent cinema, genre films, opening and closing galas. A unique opportunity to meet Asian filmmakers – our festival guests. This year's special events include Asian Academy – a series of lectures devoted to social, cultural and political issues in Asia, panel discussions with filmmakers and guests, oriental cuisine tastings, artistic workshops, and Asian games. 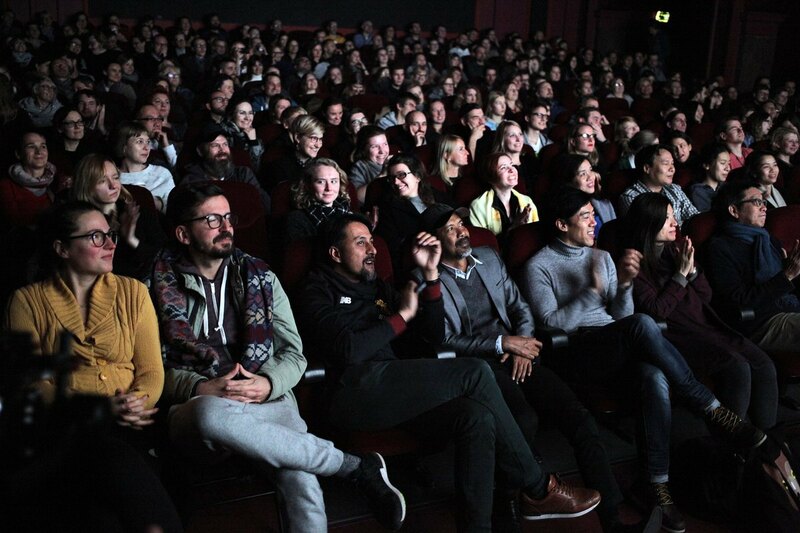 A replica of the Festival in Wrocław, New Horizons Cinema: screenings of selected titles of the 13thedition, November 23-25. A series of concerts in TR Warszawa, presenting the newest music from East and Southeast Asia, rarely heard in Europe. The program is shaped by artists breaking musical conventions, bravely transcending the boundaries of genres. The audiences are captivated by the blend of modernity and tradition, harmony and musical madness. Radio Asia 2018 is the fifth edition of the event – since 2013, the cycle has already gained its loyal, sophisticated audiences. Our plans for 2018 (December 6-9): our guests include the avant-pop Japanese duo Tenniscoats, Baliphonics, inspired by contemporary music and Sri Lankan rituals, and an electroacoustic experimental duet Masayoshi Fujita & Jan Jelinek. Another part of the program is the unique Bhangra Night – an Indian dance party including the concert of RSVP Bhangra and a gripping DJ set by Indian Man. The concerts are held in TR Warszawa and Pogłos. We invite you to join us in creating the 12th Five Flavours Asian Film Festival and Radio Asia! Five Flavours Film Festival is organized by a non-profit NGO Arteria Art Foundation.